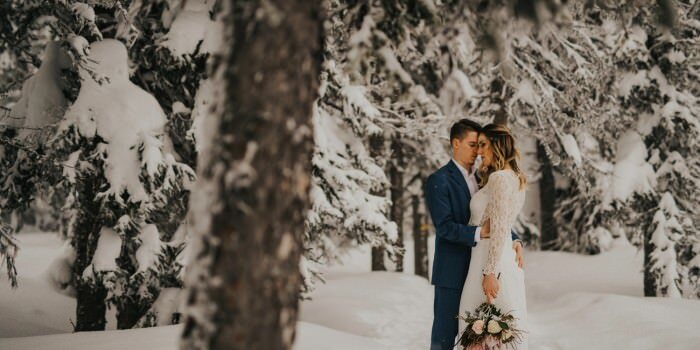 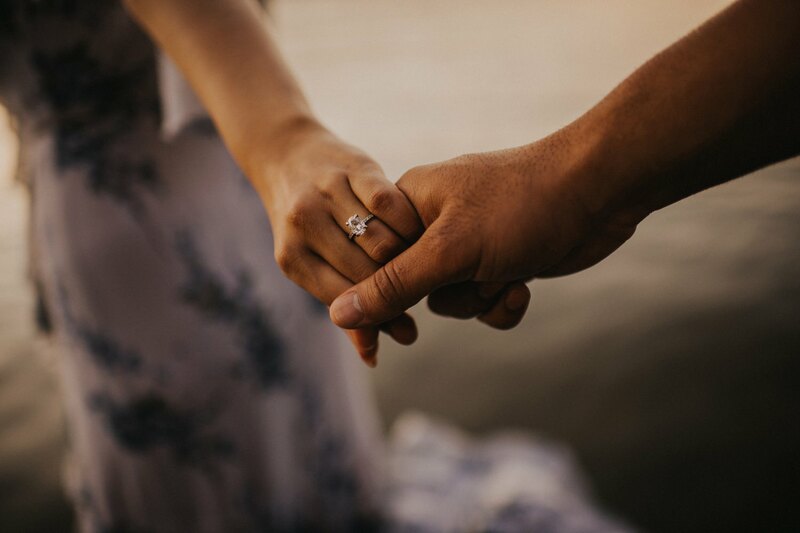 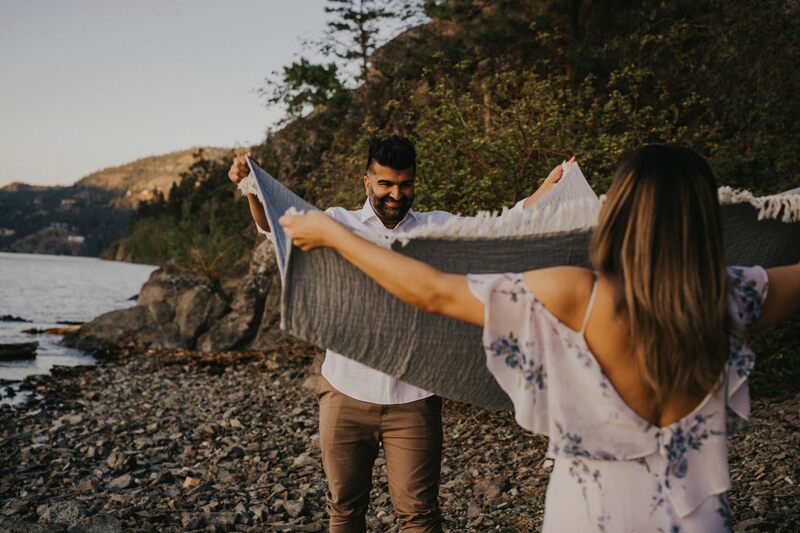 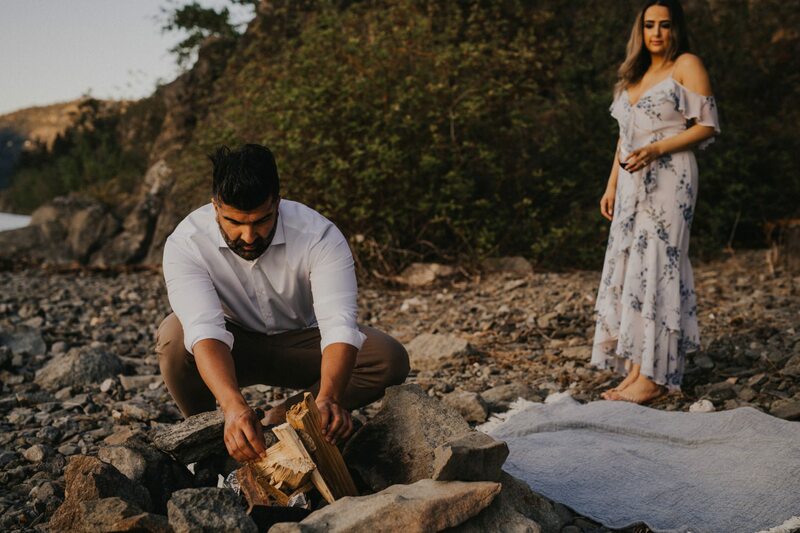 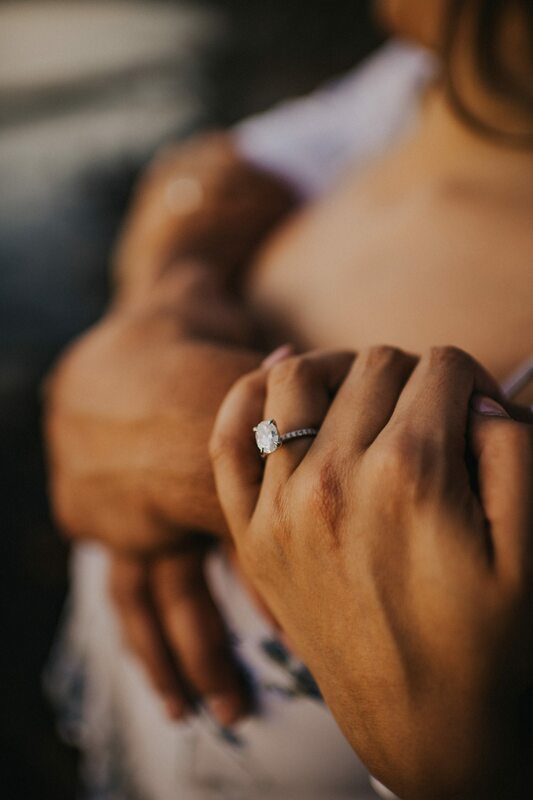 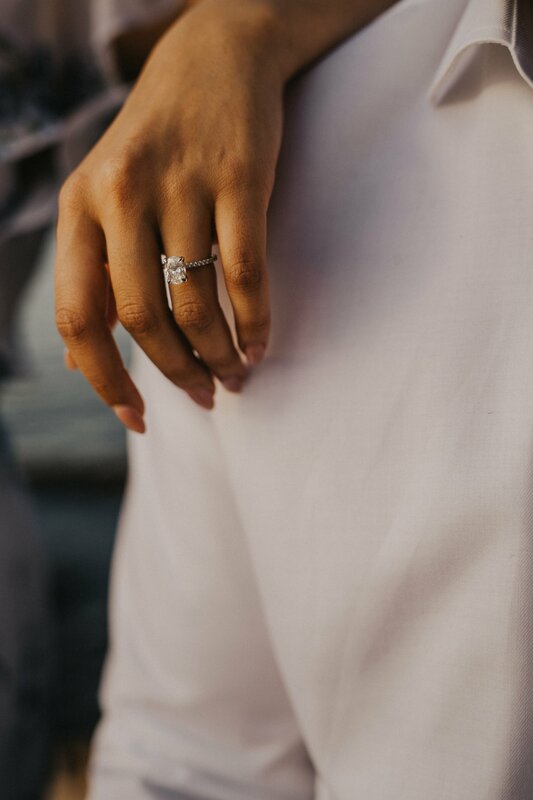 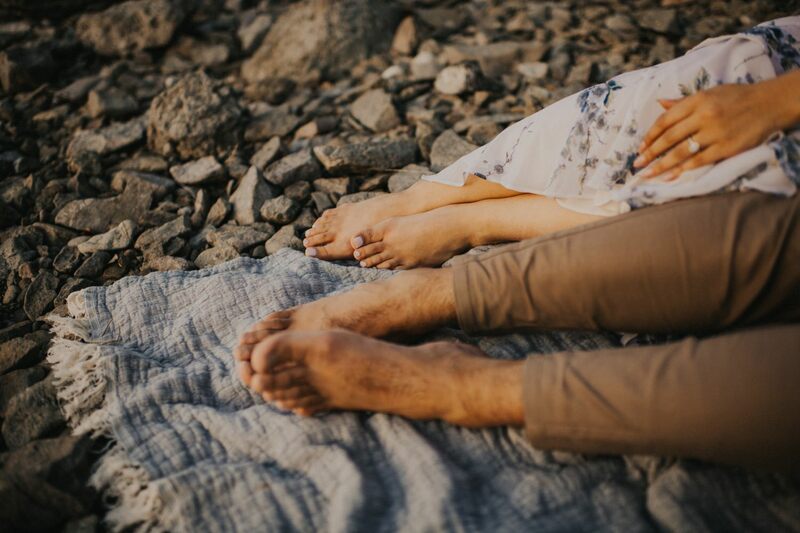 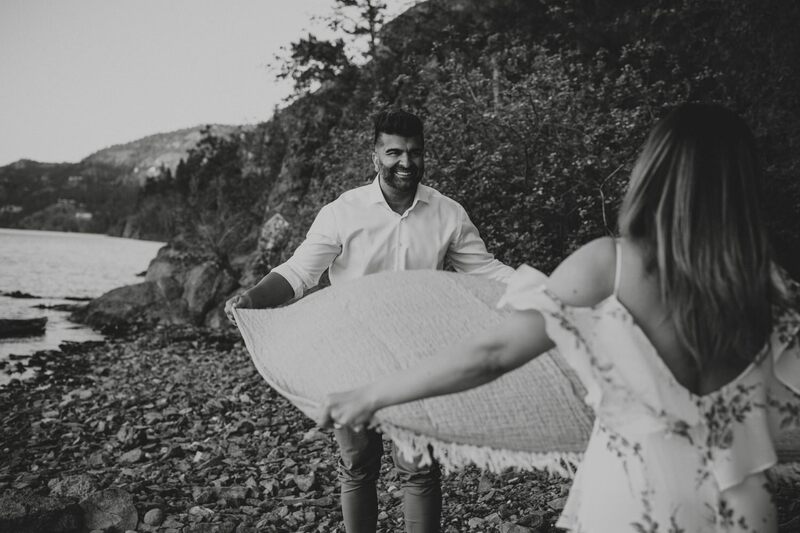 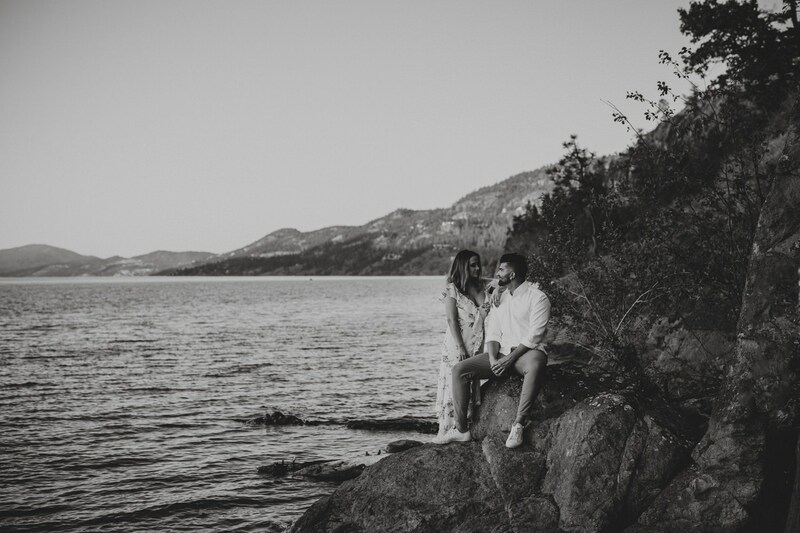 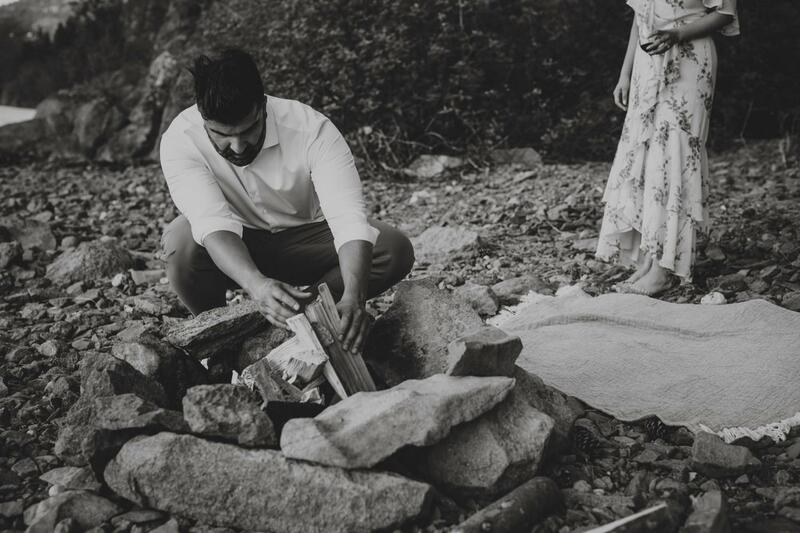 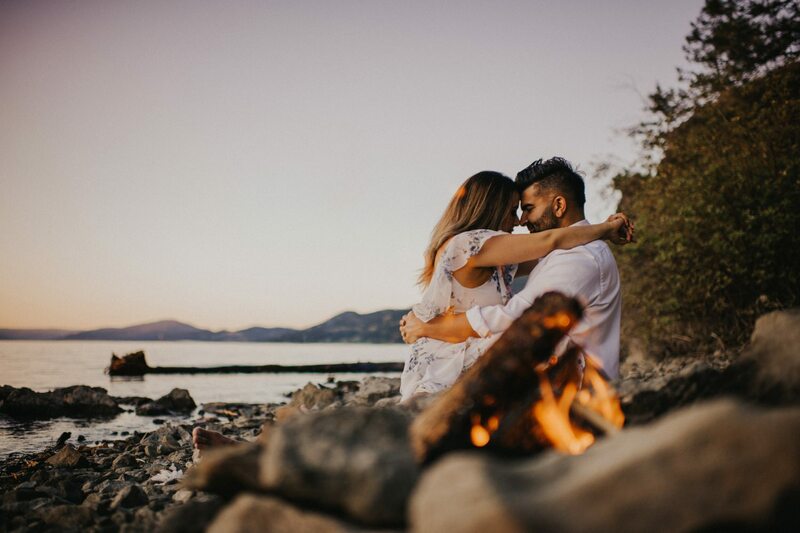 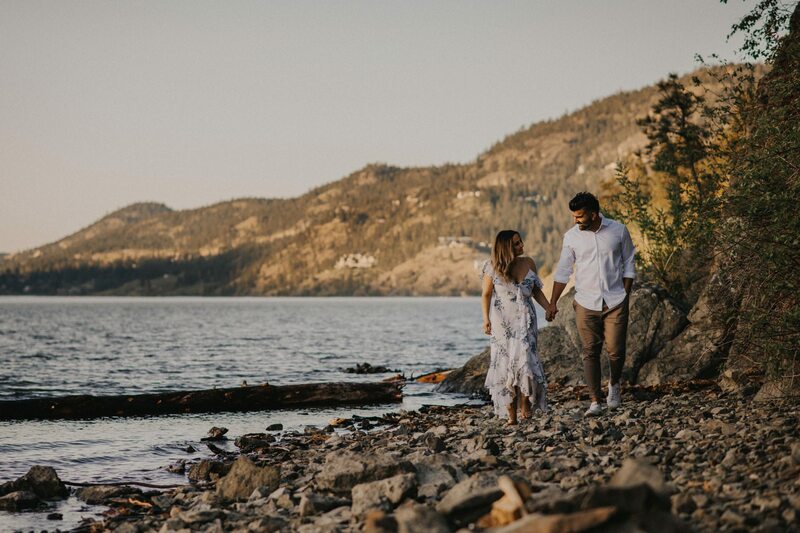 This engagement session is what the Okanagan is all about. 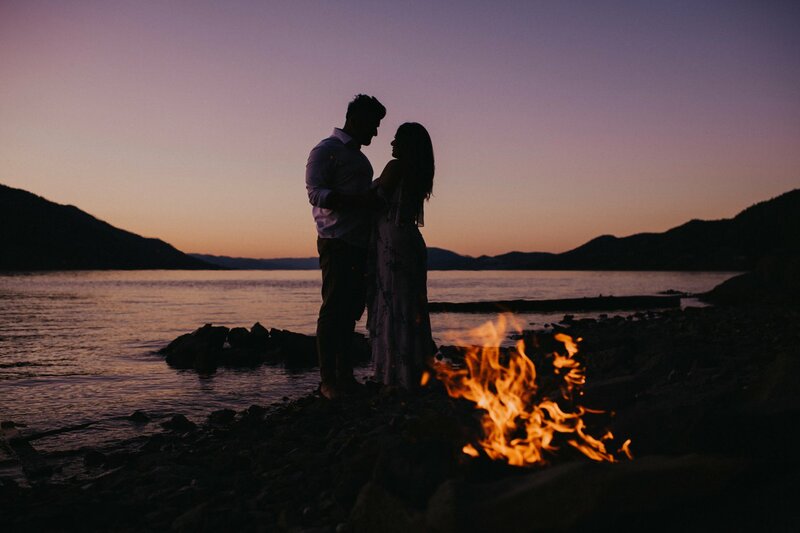 Without a doubt, it would be the definition of a perfect lakeside evening. 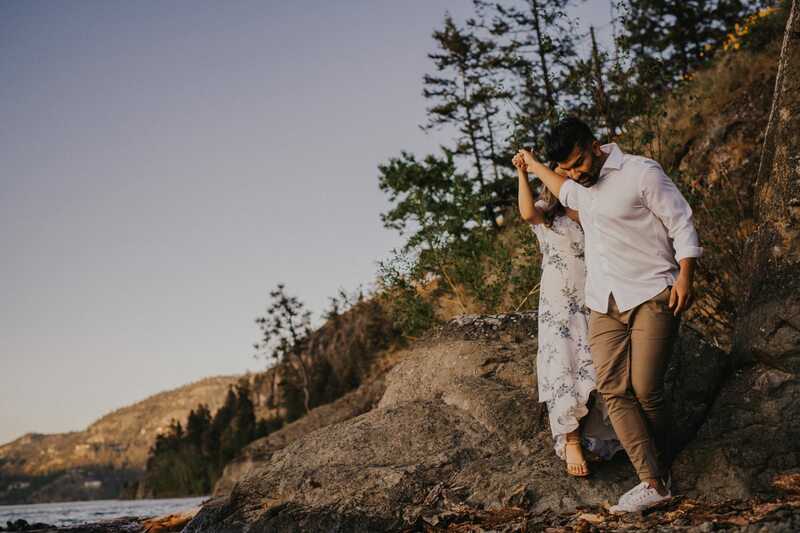 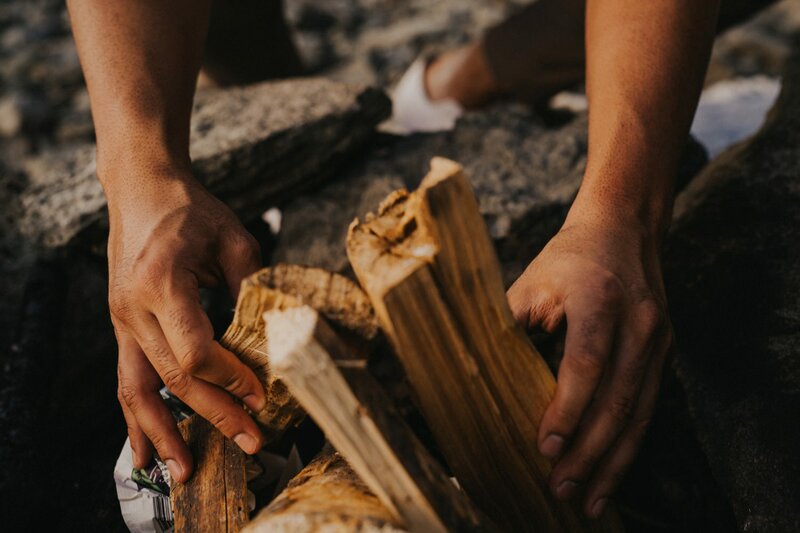 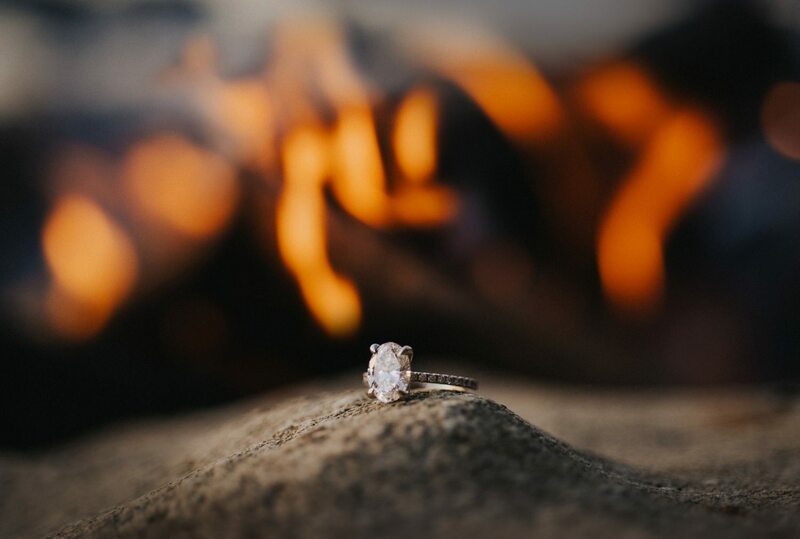 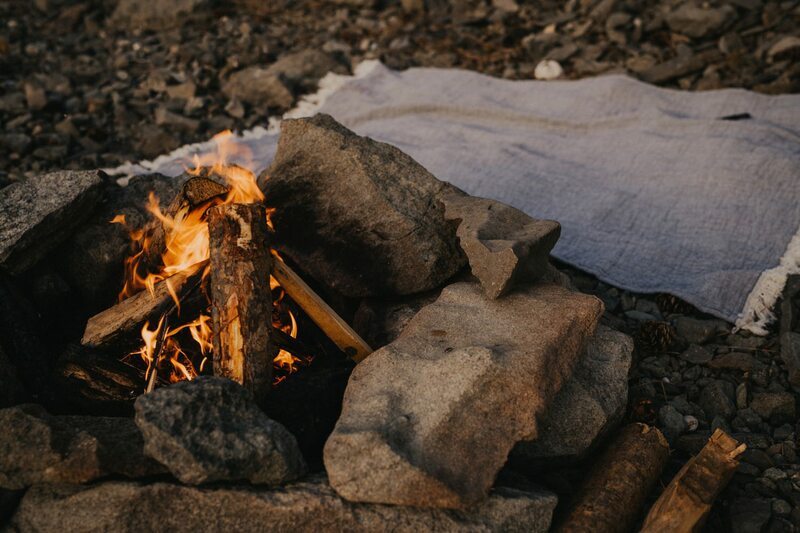 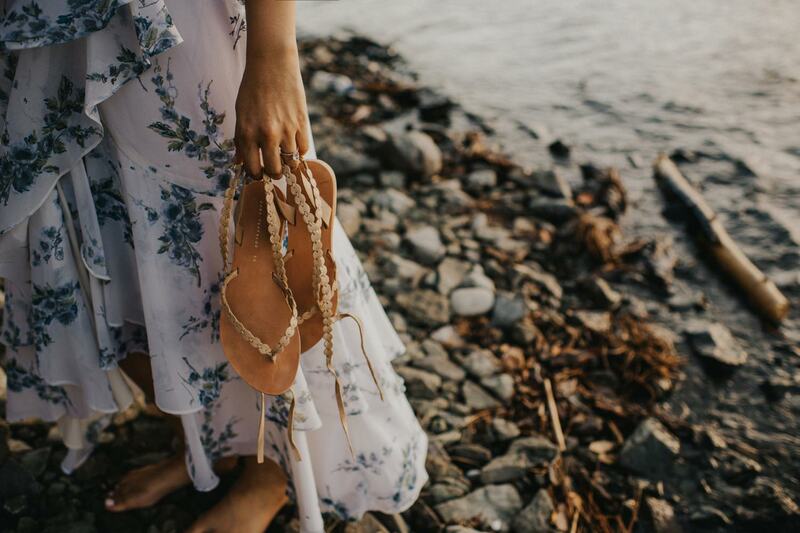 We adventured to a secluded pebble beach in Kelowna for it all. 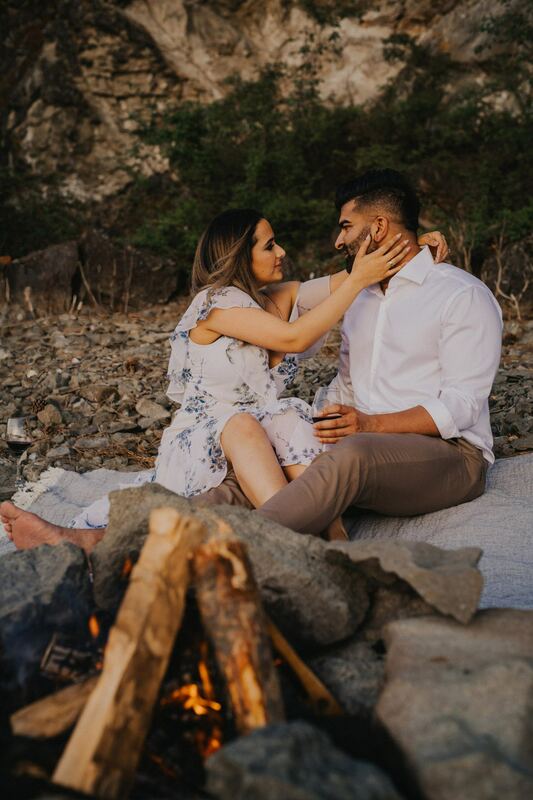 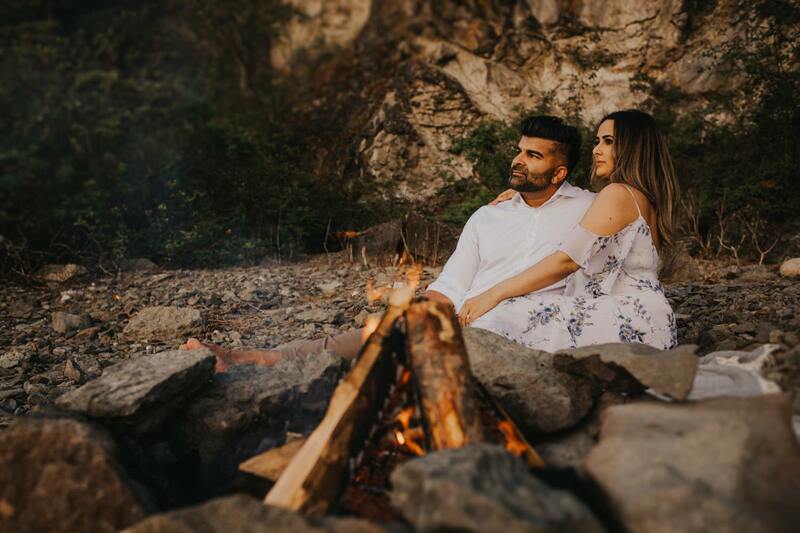 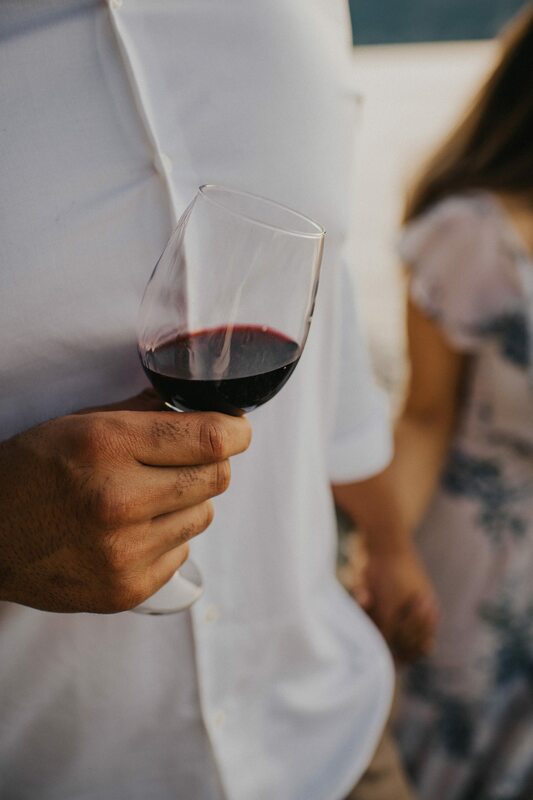 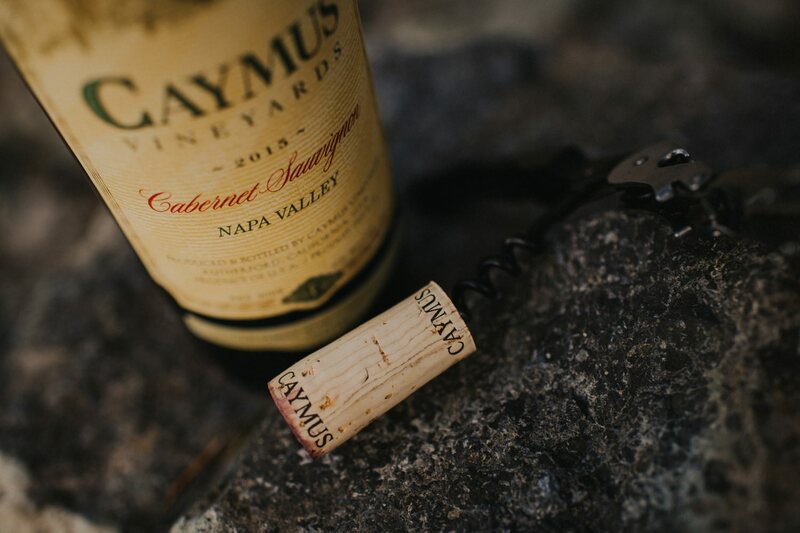 Av and Amn hung out along the rocks by the water, with their favourite wine in hand, watching the sun get closer and closer to the mountain tops. 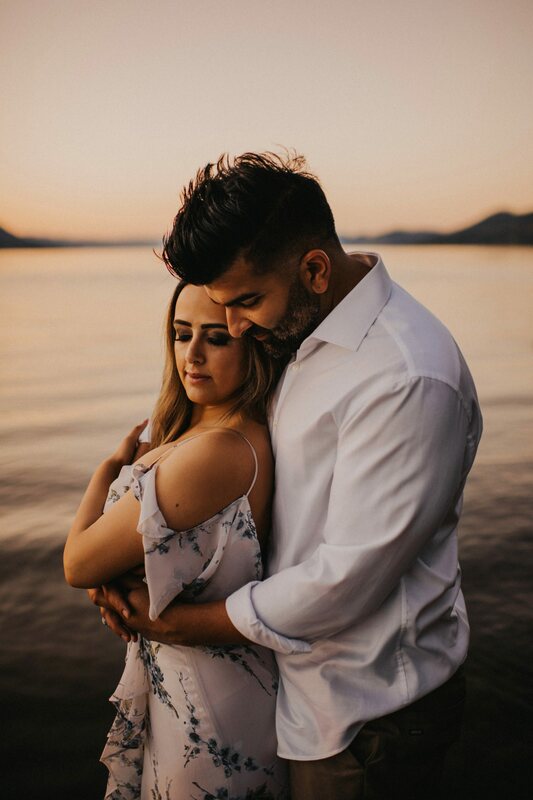 Their connection is so true and deep, like the ones that are found in the movies. 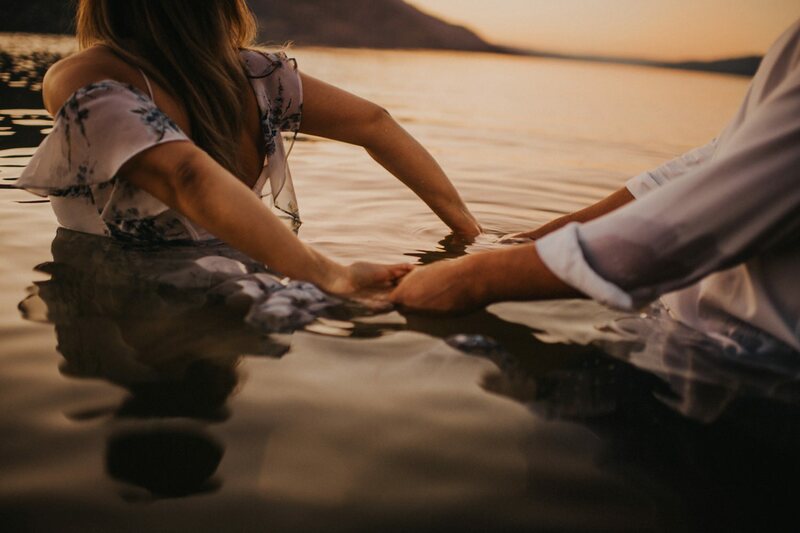 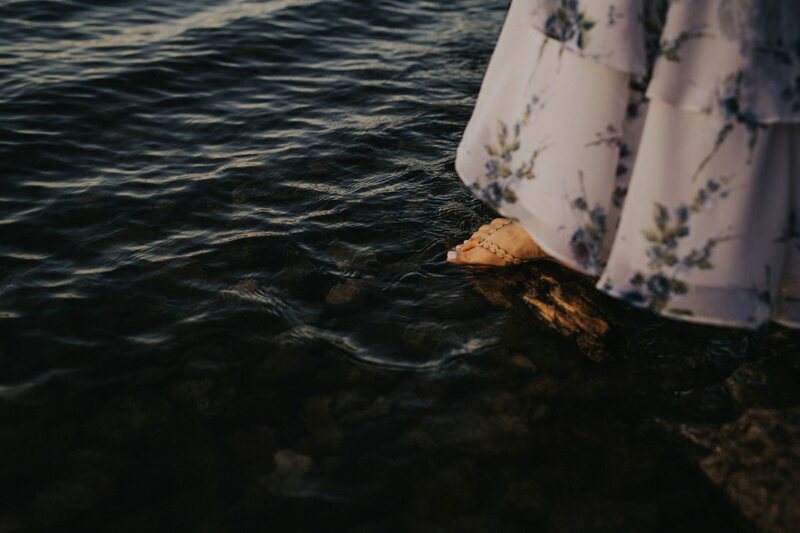 Through-out their relationship, water has held significants within, so being able to capture their love surrounded by it brought even more meaning to this session. 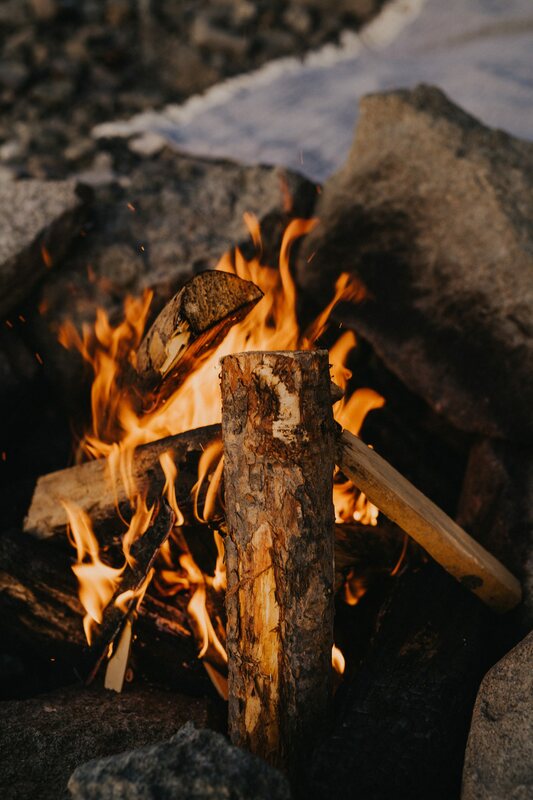 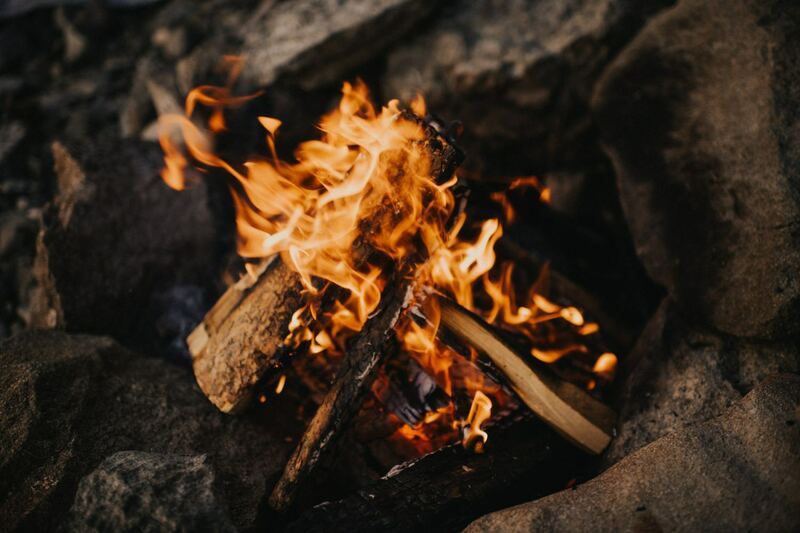 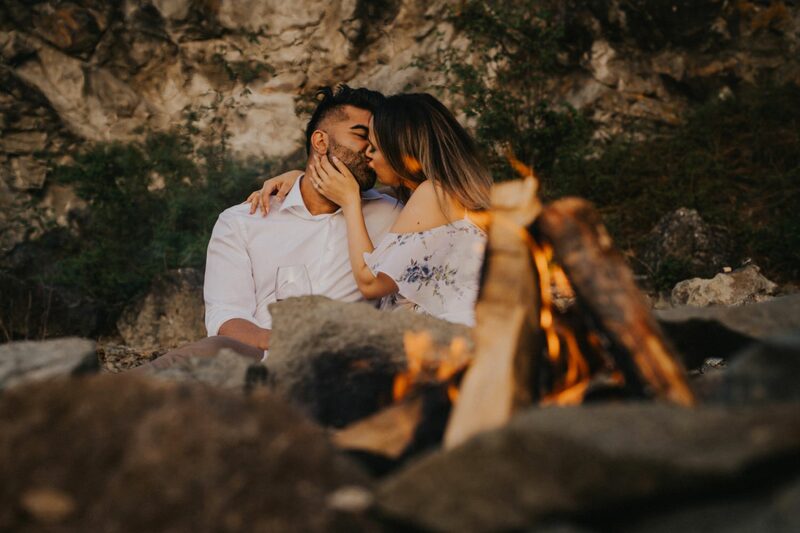 They started a fire on the pebble beach to enjoy their wine and also warm up as what was in store next was a bit cold to say the least. 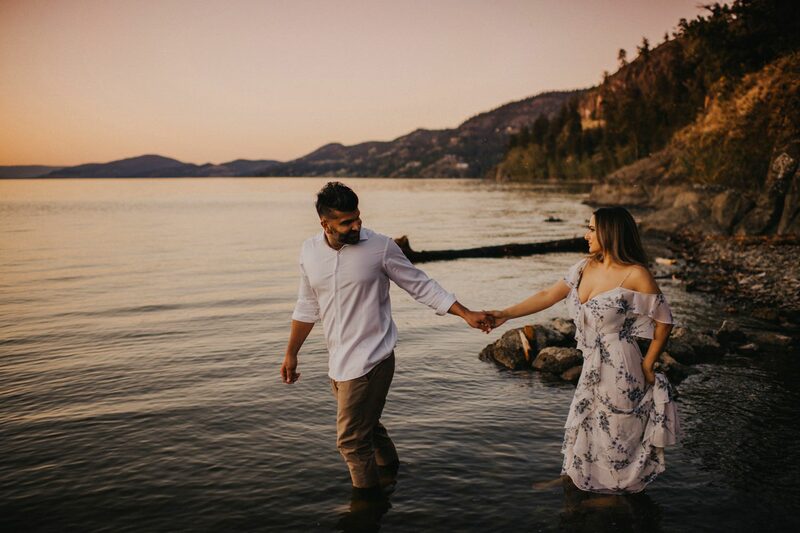 As the sunset filled the sky with colour, these two walked into the lake hand in hand. 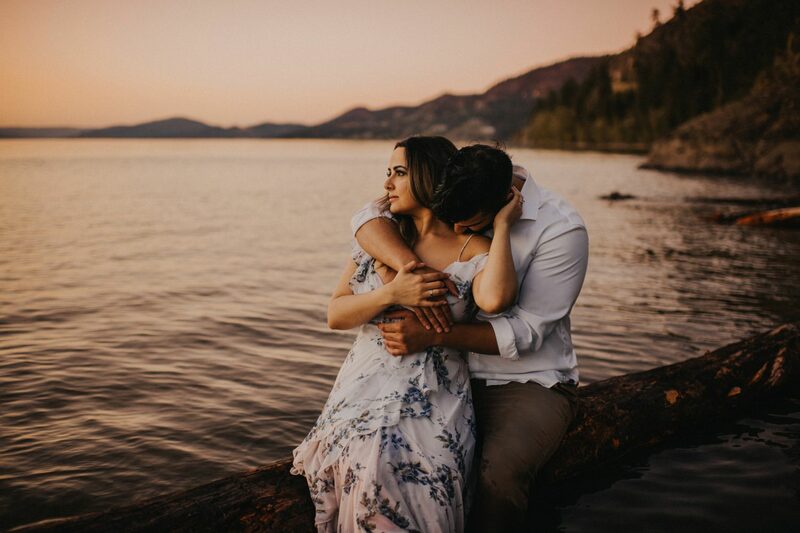 Even though we couldn’t feel our legs, the ice cold water of the Okanagan in May couldn’t hold back this steamy love. 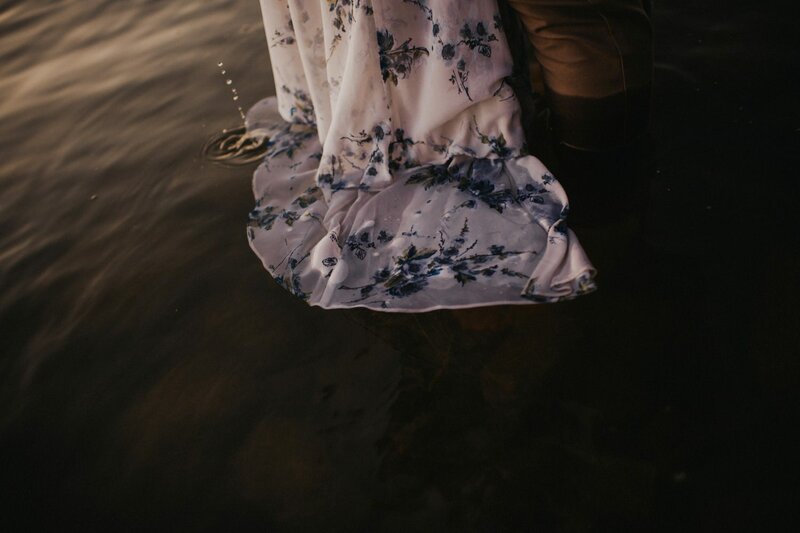 The feels were through the roof as these two held each other close in the water. 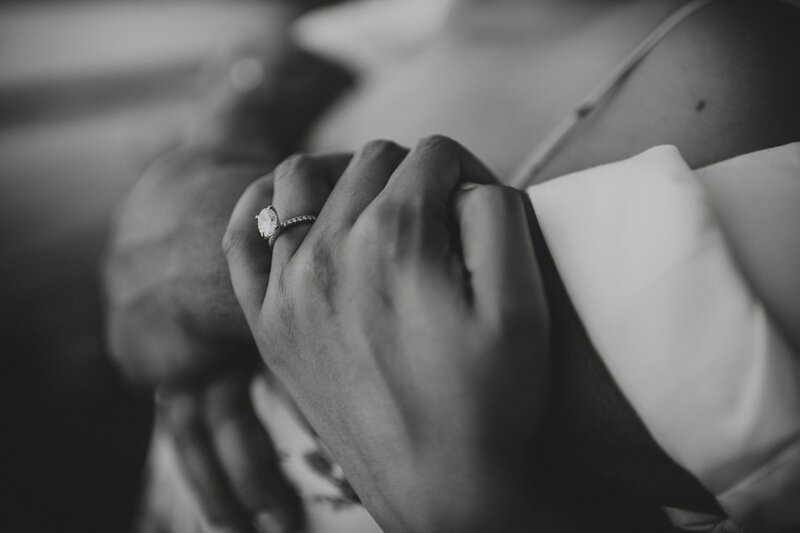 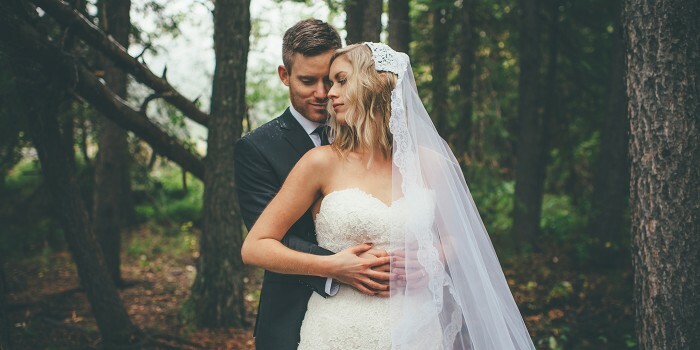 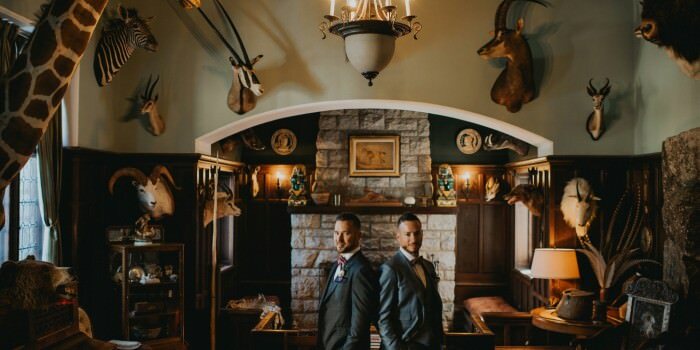 Photographing such an intimate love between these two was nothing short of stellar. 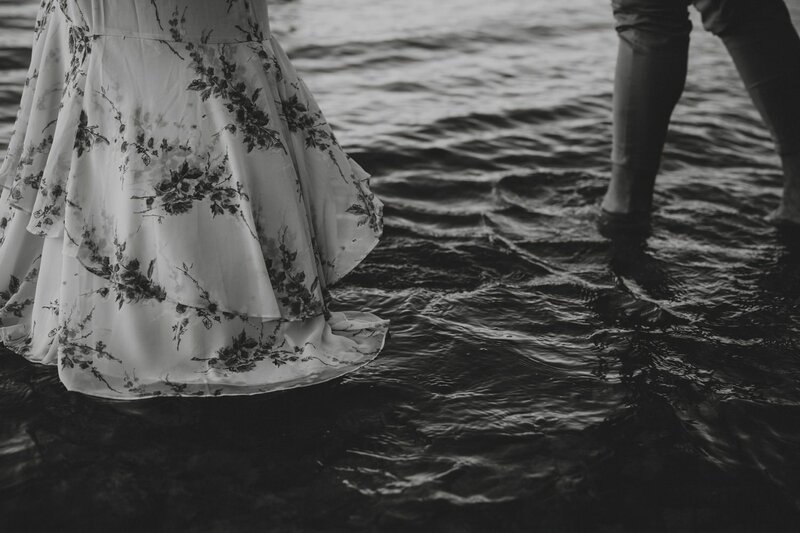 It left me without words to describe it as it still does weeks later. 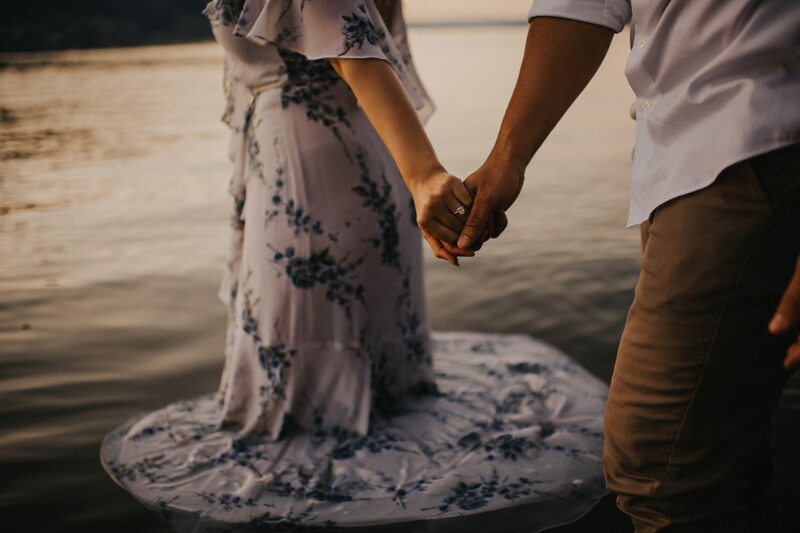 So from here, I’ll let the photographs do the talking. 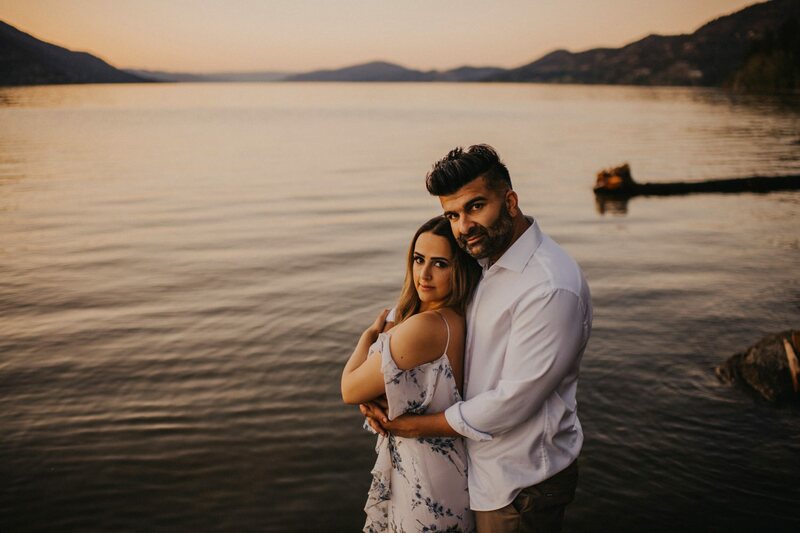 Av & Amn absolutely rocked this! 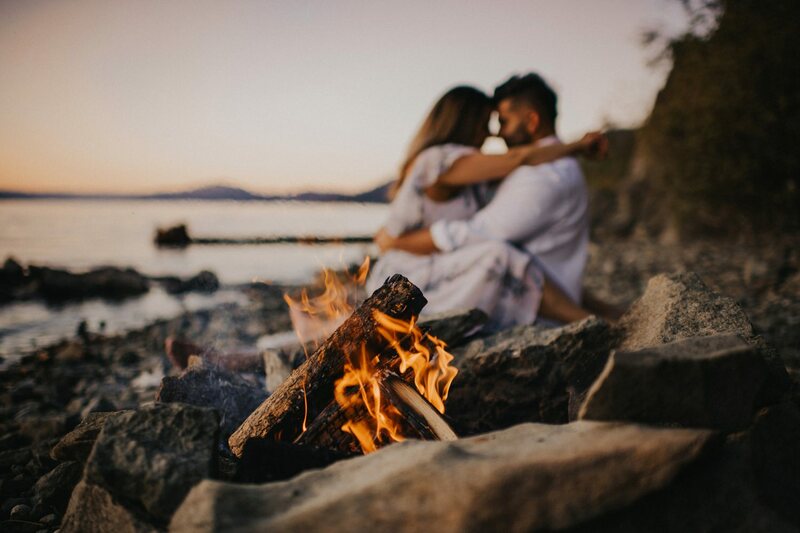 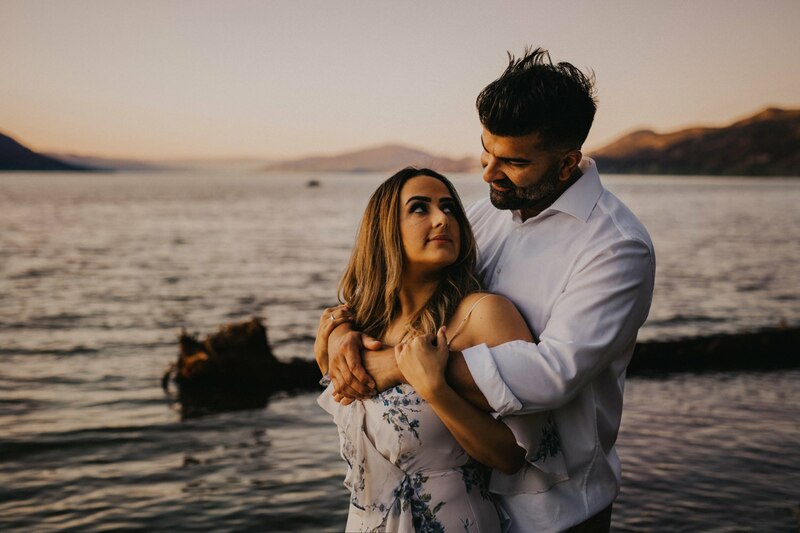 From letting their love flourish while adventuring lakeside to absolutely freezing in the water yet keeping things hot, this shoot was deffinitely one for the books. 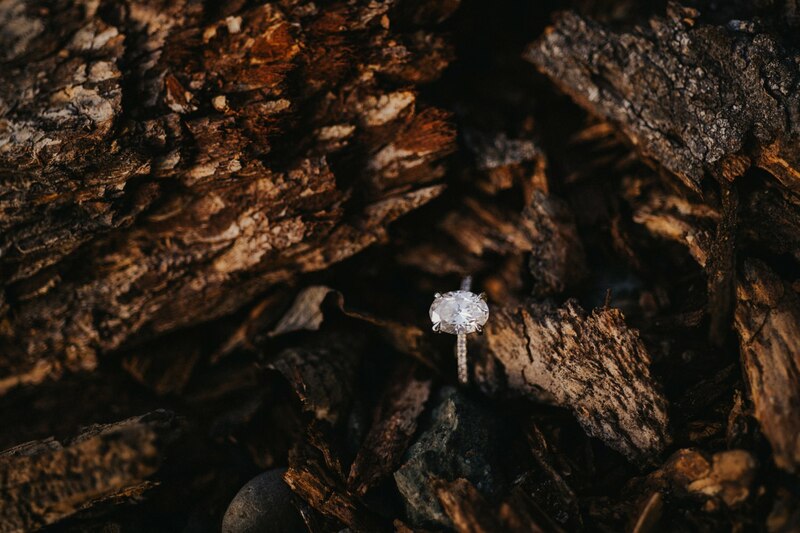 I can’t wait to capture them again at Painted Rock Winery for their wedding day in a couple weeks! 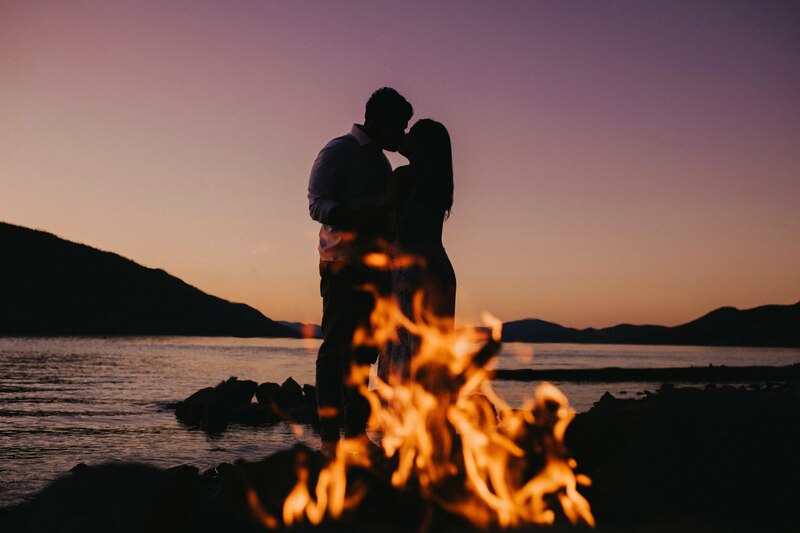 Until then, enjoy this unreal evening spent lakeside in the Okanagan!